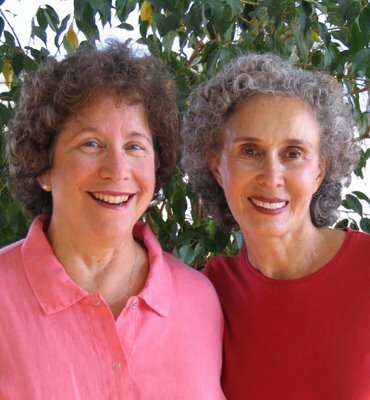 Gloria Lintermans & Marilyn Stolzman, Ph.D., authors of "The Healing Power of Love," have written an article about an adult child's perspective when a widowed parent re-marries. Over the next few days, we'll be sharing their thoughts with you. As Sandwiched Boomers, many of you have likley been in this position. Chances are you grew up in a two-parent family, went away to college, married, had children of your own. And then, tragedy struck and one parent passed away, leaving the other widowed. He or she has mourned their loss and, while still embracing the memories of their late spouse, met someone new and fell in love - ready once again to enjoy a full life, perhaps to even re-marry. And you find yourself exchanging parenting roles as you concerns are not unlike that of your parents when you dated and eventually married. While their expectation is that you will be thrilled that they found happiness in re-marriage or have someone special in their life, it is seldom that simple. It could be that you have been protective of your parent since he became a widower and are uncomfortable with someone else taking over for you. Perhaps this new partner is assuming the role of your much-loved deceased parent or you perceive her as competition for your parent's time. Maybe you have difficulty thinking of your parent as a sexually active person, especially if their involvement is with a younger woman. Although the choice of mates is solely that of your parent, he will, naturally, be influenced by your opinion, suggestions, feelings and certainly your actions. As such, be aware that the more accepting you are, the easier it will be to deal with the problems intrinsic in blending families. You can lessen the pain of assimilating new people into family gatherings, for example, by being welcoming and flexible, with a willingness to establish new family traditions. Click on 'Comments' and tell us about your experiences. Today we look over some of the questions that have been raised this week about our tips for improving Sandwiched Boomers communications with loved ones. Some of you have questions about how to get more bang for your buck when talking with your children. Lori says, "I just don't have the time and energy to fight with my son any more. What can I say to get him to do what I want?" Syd asks how to get her grown offspring to listen to her: "Give me a tool to use to speak with my adult children who couldn't care less about any idea I have. I raised them, yet they think I have gone through this life clueless, with no child rearing experience. Hello! Help!" What I think Syd and Lori really mean is for their kids to respect their opinions. Questions for them both to ponder are: Do you respect theirs? Do you treat them as the adults they have become? Do you listen to them? When you enter into conversations with your adult children, don't expect them to behave just as you want them to. Instead, consider it a meeting of equal minds and you will fare better than searching for the magic control tool. Your children have a right to develop into adults and, with your encouragement, they will. Other readers are concerned about communicating effectively with their aging parents in sensitive situations. Jen writes, " My sister and I have talked and talked with Mom about moving her out of her house but she won't budge. She is all alone there and we worry about her. I guess we'll just have to keep on trying. Thanks for your ideas." And another reader describes her situation, "I have a caregiver who comes in to help me with my father but lately I think she's trying to take over my place. What should I say to her?" Talking with your parents can be extremely difficult when the subject revolves around their diminishing capacities. Just as with your children, an important consideration is respecting their dignity and need for a degree of influence. It may be frustrating for you to dance around the inevitability of your assistance in their lives, but it's best to take it one step at a time. When dealing with hired caregivers, assume that they are striving to do the best for your loved one and talk out any concerns openly and honestly with them. Continue to think about these issues and share your ideas with us on the blog. We will come back again and revisit the art of Sandwich Generation communication. When you look back over the blogs for this week, you can see that we have been focusing on strategies to help Sandwiched Boomers communicate effectively. Wondering why it is so difficult these days? Actually it's not that surprising - everything is harder when you are stressed. And certainly as a member of the Sandwich Generation, 'stress' could be your middle name! So don't neglect yourself as you continue to concentrate on caring for your loved ones. Have you had to give up expectations about what your life would be like now? Your frustrations with the realities of your day-to-day experiences will likely spill over into conversations with your boomerang kidult or aging parent . Your own emotional turmoil can impact your ability to communicate openly and honestly. When you are sad and in pain about the needs of a family member - a child on drugs, a parent slipping into dementia - it can overwhelm you and threaten your exchanges. Anger about the demands of your situation and having to put your own desires on hold can come out as anger with your loved ones for their neediness. And when guilt rears its ugly head, you may become defensive and out of touch in your communications. Instead, acknowledge that you have only a finite amount of time, energy and money for your family-in-flux and you are doing the best you can. When roles shift, it throws everything off balance. You may be taking on more responsibilities at work, beginning to parent your own parents, backing off from acting like a helicopter parent, or becoming more independent of your spouse. Any of these changes in your position in the family reflects on your interactions, making real connections more difficult. So, accept that you and your family have some work to do. Hang in there and give everyone another chance to improve your discussions. Tomorrow we will address some of the comments you have made during the week. All week we have been addressing how Sandwiched Boomers can improve their conversations with loved ones. We have talked about the techniques of active listening - being empathic and focusing on what the other is saying in an effort to come away with a clearer understanding of the speaker's position. We have also highlighted the importance of body language in communication. By paying attention to the silent messages being sent - both by you and your partner - you can enhance the chances of having meaningful talks with your aging parents and growing children. Now we look at the message itself. As a full-fledged member of the Sandwich Generation, Kate needed to address the issue of car keys with both her eighty-year old father and her sixteen-year old son. For one, it was about when to take away the keys, for the other, when to give them. For both, driving represented independence, control and self-esteem. When you are discussing a topic that brings up such sensitive issues, it is crucial to recognize that your words will be heard through an emotional filter. So it is even more important to choose them wisely. Think about the goal you want to accomplish and be able to break it down into specific tasks. Present them one at a time and be clear and direct in what you say. As Kate related, "I had to have many talks with Dad before he was willing to consider that his days behind the wheel were over. Each time, I let him know how concerned I was to have him driving - I just didn't think it was safe. We talked about how he could take advantage of other alternatives to get around. Finally we came up with a plan that worked for both of us - I would feel better knowing that he was not driving and he wouldn't be stuck at home with no way to get around." Kate was able to send an "I message," detailing her position and yet revise it to let her father know that she respected his needs. She used the same kind of I-message techniques when she talked with her son about his driving the family car alone. Although she maintained her firm position about waiting until she achieved her comfort level before she would grant him the keys, their conversations were a powerful statement about how much she valued his input and cared about him. Tune in again tomorrow when we will consider why it is sometimes so difficult to talk with your family-in-flux. Yesterday, we set the stage for improving your conversations with family members by becoming a good listener. Today and tomorrow, the emphasis moves toward what you say and how you say it. As a Sandwiched Boomer, it is likely that you don't have a lot of time to make your point - and the temptation may be to make it quickly without much thought. But you can actually be more efficient with your efforts and have a lasting effect if you put some energy into planning what you want to communicate and how best to be heard. Communication is not only accomplished through words - we connect with others through body language as well. A hug can convey caring and support - maybe even more than any words we choose. A gentle touch can let your aging mother know that you value her or your sullen daughter that you are there for her. When a smile widens across your face, it will brighten the day for your fragile father or help your son recognize that you understand where he is coming from. Reaching out to hold the hand of your aging parent or growing child can remind them that your relationship is a strong, lasting one. When you talk with your family members about important matters, set aside the time so that you can concentrate on them and the issues at hand. Look directly at you parents or children and let them know that you are interested in relating to them. Keep your tone calm and quiet. Use simple, direct language to begin the discussion. Try to stay on target and address the problem one step at a time. Be respectful of everyone's feelings by resisting the urge to become argumentative when expressing your opinions. Does this sound like a lot to think about? How have you connected with your family-in-flux? Please share with all of us what techniques work for you. Tomorrow we look at Sandwich Generation messages themselves to highlight effective ones. "No, you don't need to bring in anyone to help me. I can take care of myself!" "But, Mom, everyone is going. You never let me do anything with my friends!" Are these the opening salvos in your talks with your parents and children nowadays? Lately we've received questions from Sandwiched Boomers about how to improve communications with family members - aging parents who are beginning to lose some mental sharpness, teenagers who are closing doors to parents, both literally and figuratively, grown offspring and their marital partners who are busy starting their own lives, and even a long-term spouse who may have a different agenda for retirement planning. For the next few days, we turn our focus to talking with our family-in-flux in ways that increase the likelihood that both sides are listening. Communication is best when it works both ways - learning to listen yourself makes it more likely that you will actually be heard when you are speaking. So today we stress your job as the receiver of messages. Whether you are listening to aging parents, growing children, or your changing spouse, the first rule of good communication is to pay attention. Although you may be great at multi-tasking, don't do it during important talks. Look at the person who is speaking to you - it will have a double whammy. You will learn a lot about his or her feelings from the body language and the speaker will know that you care enough to take the time to listen. Give your partner in communication the time he needs to make his point - don't interrupt with your critique. Show the respect you have for her by listening while she presents her case. Once your family member has finished speaking, let them know that you understand what they have said, even if you may not agree with it. Ask them questions to clarify what they have said, avoiding arguing or demeaning them. As you practice the skills of "active listening," you will find that family members are more likely to want to talk with you about issues that are significant to them. And the more motivated they are to communicate with you, the richer your conversations will become. What have you found to help when you are talking with your family about thorny topics? Boomerang kids moving back home after college, unable to get a job or make enough money for independent living, is old news. Lately, issues facing the wave of Sandwiched Boomers - who are handling new responsibilities as their aging parents need more help - have been targeted by the media. This weekend, in the Los Angeles Times, there's an article entitled "Middle-aged and living with Mom." Apparently more people in their 40s and 50s, laid off from jobs, struggling in a difficult economy, unable to make ends meet, are settling into to the bedrooms they grew up in. The question is, how far to go? Some parents jeopardize their financial freedom or give up their dreams. They feel guilty and have a hard time saying no. Others see this as a last chance to spend time together, give emotional support, to help each other. What do you think? Comments about retirement were varied, from being bored and now working again to loving it - so there's not one size fits all. Whether you're beginning to play with the idea of retirement or the gold watch presentation is just around the corner, here are some tips for Sandwiched Boomers. Approach this stage of life with humor - and don't take yourself too seriously. This is a major life change and yet a positive attitude will enhance your transition and the experiences that follow. Be aware of your motivation. Being able to reflect and evaluate are valuable skills. Hone them, and discover what is driving you and what you want at this point in your life. Do you want to focus on volunteering, working in a different way, taking better care of your body, or spending more time with family and friends? Make choices for reasons that are right for you. Much ado about all or nothing. Perhaps leaving your job, at this time, is not feasible for emotional or financial reasons. Look for ways to satisfy some of your unmet needs while still working. This is also good preparation for when that change does occur. Go with the flow. Recognize and accept that any transition involves a process of change. Follow your dream yet don't automatically say no to anything. Be willing to open your heart and explore all possibilities. Make a list but don't check it twice. We all have a myriad of wishes that have not come true because life sometimes has a way of intervening. Be patient with yourself and the situation if you have to change course. At this stage of life, anything can happen. Now is a chance like never before. And balance can be the key to unlocking the good life. How would you create your own sense of equilibrium? Think about being involved in community service and pleasuring yourself. Plan to have a purpose and to have fun. Find ways to be productive and playful. Enjoy the magic of the seesaw. Marlene, a school social worker, gradually realized that she had the luxury of many options. She could, in fact, retire and decide how she wanted to spend the rest of her life. A Sandwiched Boomer, her elderly Mother had been diagnosed with dementia and needed more daily support. Her two daughters were having babies at opposite ends of the continent. She wanted to be able to spend time with them after the births and to be with the grandchildren as they grew. Her son also lived away and was embarking on a new career. All in all she intended to be more mobile and accessible to her family. "After quitting my job of 30 years, I was often asked how I was enjoying my retirement. My reply was always: Are they talking to me, what's retirement? Here's the reality. I spend a lot of time in airports. I stay in my pajamas until after 10:00 a.m. on many weekday mornings. I've become more active as a volunteer, involved in both urban renewal and heritage aspects of my city. I sit on a hospital board and am learning more about the healthcare system. I have become involved again in local politics and helped an old friend get elected. I've been to lunch with friends four times and knitted 1 1/2 baby sweaters. I still have not met my husband for lunch in the middle of the week, cleaned out my drawers, put photos in albums, exercised regularly, mastered the computer or the game of bridge, read enough books, or browsed the many corners of the city that I promised myself I would. So, where am I now? I'm still very much in the process of learning what retirement means to me." As a Baby Boomer, are you in agreement with the results of an American Association of Retired Persons' position paper - that the definition of work in retirement will be uniquely yours? Fully 80% of those who responded to the survey expect to continue some type of work after they reach retirement age. Many women don't have control over the decision regarding changes in their work situation. They may be faced, unexpectedly, with the loss of a job or a business. Or, out of financial necessity, they have no choice but to continue supporting themselves and their families. In addition, the aftermath of 9/11 and the economic downturn drove women into the workforce who otherwise would have reduced their workload or retired completely. The recent New Face of Work Survey, conducted by the Princeton Survey Research Associates International, found that the majority of their interviewees had an interest in post retirement careers that help others. Over 70% of the women in their 50's agreed that “It is very important that a job in retirement gives a sense of purpose,” and allows them to stay involved with other people. The shift to a "working retirement" is definitely a baby boomer phenomenon. What did Barack Obama's speech this morning have to do with Sandwiched Boomers? While discussing the complexity of his relationship to Reverend Wright, he was also referring to the macrocosm - the voter's relationship to the American family and, on some level, our relationship to our own family. At one time or another we've all been distracted by the negatives - having to care for an aging parent who didn't take good care of us growing up or or having to deal with an adult child who has lost his job and boomeranged back home. But we always have a choice, no matter how difficult - we can focus on what is within our control, take the high road and create change. How can you use this as a teachable moment for your own family? We all know that it's a lot easier to condemn others than to look at ourselves. What does 'your dreams don't have to come at the expense of my dreams' mean to you. And how can you take the core of that message and put it into a broader and more practical context for your family in flux? We got an email from a subscriber who said that the information here and in our newsletters has been most useful since she has taken on the responsibilities of caring for her Mother. A recent article in the New York Times discussed an unusually large increase in suicides among middle aged Americans - for women aged 45 to 54, the rate increased 31% over the past several years. Speculation about the causes include financial worries, depression and abuse of prescription drugs. Another possible reason is the growing pressures of modern life, as parents live longer and Sandwiched Boomers have to juggle work and family with limited social support. Which got me thinking about the proliferation of websites for Boomer Women lately. As you begin to deal more with retirement, financial and family responsibilities, the Internet is stepping up to meet your needs. Just this month, www.VibrantNation.com and www.wowowow.com went live. Let us know about your favorites and we'll share them with others. Since some of you are fairly new to the blogosphere, here's a mini-course in Blogging 101. When we have a Virtual Book Tour or feature a special guest you don't have to be present at that time. The post of that day - as well as all previous posts - remains on the blog. So you can join us at that time or visit at your leisure, reading past posts and making comments when you want - simply by clicking on "comments" at the bottom of the post and adding your thoughts. Easy as that! The question was what was the first step I took when I decided to change my career path. Obviously, that is a bit different for someone who has decided to write than many others. I just sat down and started to write. The next step - very independent and feminist - I got my own computer! I could see that a writer (maybe anyone!) should not have to plan their creative moments (for writing or business!) around the practical needs of someone else. It was some time after that I realized how important it is to take care of yourself in the little ways if you want the big,new plans to be taken seriously. Indeed, if you want them to succeed. Comments from another reader included, "What a great interview. Really shows that life has many dimensions. It's amazing how far things have come. Much of that I attribute to the courage of women like Carolyn Howard-Johnson." To which Carolyn replied, Yes, we've come a long, long way. But still so far to go. Witness the Spitzer thing. There was a column in this morning's LA Times criticizing Hilary for not speaking out against a system that enslaves women. If she'd spoken out, they would have criticized her for being strident and made the point that she has no room to criticize. I mean she couldn't win and at least part of that kind of thing is based on what people expect of their women. In a question about self care, "I've put my family first for so many years, I'm not sure I even know how to take better care of myself. How did you feel when you said "no" to your family? I would feel so guilty turning them down just to do something for me." Carolyn's response was so insightful: I needed a support group to help me say no. And this is what I found. That my family was better for it. I learned to say no with a sense of humor. Sort of, "You want me to do WHAT??? And that helped. And yes, better for it. More independent. More respectful. I think I set a better example for my daughter that moms and wives don't need to also be dishrags. I didn't even realize that I was inviting the dishrag thing, but I was. It sounds awful, but that's the truth - for me at least. We often aren't helping by doing. That getting the courage to be independent is part of the theme of This Is the Place, my novel. You might enjoy it. With thanks to Carolyn Howard-Johnson for her generosity of time and spirit, this ends our Virtual Book Tour. If this has piqued your curiosity, let us know about other authors you'd like to meet and we'll do our best to have them visit our blog. We want to welcome Carolyn Howard-Johnson to our blog today. She is the author of a novel, "This is the Place" and a collection of poetry, "Tracings." Her series of nitty, gritty how-to books include "The Frugal Book Promoter" and "the Frugal Book Editor." Q: Carolyn, we understand that your writing career didn't begin until mid-life. Looking back, what was it like for women in the 1950's and '60s? A: Sometimes the big barriers in life aren’t abject poverty, dreaded disease or death. Sometimes it’s the subtle ones set upon us by time and place. The ones that creep up silently on padded feet and, if we sense them at all, we choose not to turn and face them. The decade of the 50s was a time when these kinds of barriers faced those with dark skin, those who lived in closed religious communities, and those who were female. Living in Utah, I knew that women in that time and place had a notion of who they should be, could be and, mostly, they got it from those around them because many of them couldn’t see the difference from society’s expectations and their own. “You can’t be a nurse,” my mother said. “Your ankles aren’t sturdy enough.” I also was told I couldn’t be a doctor because that wasn’t a woman’s vocation. The choice left to me was to be a teacher. My dream to write became a victim of the status quo. When I applied for a job as a writer at Hearst Corporation in New York in 1961 I was required to take a typing test. I was piqued because I wasn’t applying for the typing-pool, I was applying for a post as an editorial assistant. I was told, "No typing test, no interview." I took the test and was offered a job in the ranks of those who could do 70 in a minute. I had to insist upon the interview I had been promised. I was only twenty and had no real skills in assertiveness. I am amazed I had the wherewithal to do that. Something similar was at work when I married and had children. I happily left my writing to accommodate my husband’s career and the life the winds of the times presented to me. That there was a time when we didn’t know we had choices is not fiction. I had always wanted to write the next “Gone with the Wind” only about Utah instead of about the South. I had a plan that was, itself, gone with the wind. Instead of following my star I searched for replacements. My husband and I built a business. For forty years I didn’t write and, during that time women became more aware. The equipment, gears and pulleys were in place for a different view on life. Q: Can you tell us about how you dramatically changed directions in the second half of your life in a desire to fulfill your dreams? A: In midlife I became aware that there was an empty hole where my children had been but also that the hole was vaster than the space vacated by them. I knew I not only would be able to write, I would need to write. Then I read that, if those who live until they are fifty in these times may very likely see their hundredth year. That meant that I might have another entire lifetime before me--plenty of time to do whatever I wanted. In fact, it’s my belief that women in their 50s might have more time for their second life because they won’t have to spend the first twenty years preparing for adulthood. That was it. I started writing "This is the Place." I had to relearn old skills and brush up on new, and I am proud that I did it. I’m glad that I waited until I was sixty. Forty years of experience gave it a dimension it would not have had if I had written it when I was young. That first novel has expanded into four books including a new book of poetry, "Tracings" and I am now working on one called "Best Book Forward: How to Edit for a Spotless First Impression." I like that I am doing something for other women and for other writers. I also like being proof that a new life can start late - or that it is never too late to revive a dream. Thanks for sharing your story, Carolyn. Although we are new friends, we can see already that you are as generous with your experiences as you are with your wisdom and excellent ideas. What you say resonates for us and we're sure it will for other women as well. Readers, here's your chance to fire away. You may have questions about Carolyn's mid-life transformation and how you can begin your own process. Or maybe you have a book percolating and want some direction about how to serve it up. All you have to do is click on "comment" at the bottom of this post, type in what you have to say and then follow the simple directions. You do not have to join anything in order to make a comment. We look forward to hearing from you. Crime buster Governor Eliot Spitzer has fallen on his own sword, and his involvement in a prostitution ring has created a heartbreaking family tragedy. Although he raised the ethical bar in New York, he forgot to hold himself to this higher standard. Ignoring the consequences of his acts, and the people he would hurt, makes you question both his character and moral development. Now that he has resigned, he has a big job ahead - looking deep inside himself. This scene - personal pain on display for all to see - has played out many times before in the political arena. There's a variety of ways to look at what motivates the betrayed wife, disgraced and humiliated, standing by her man. It could be denial, shock or an out-of-body fugue state. Perhaps it's what she always does, a function of her derived identity or in defense of her own aspirations. Or it may even be plain love, a long history together, concern for the children, a desire to keep the family together. In any case, it takes a lot of courage and the road to healing the wounds is long and hard. Don't forget to tune in here tomorrow, or anytime thereafter, for Carolyn Howard-Johnson's Virtual Book Tour - she'll be discussing her mid-life career change and how it led to her recently published books. The media spotlight today is on Eliot Spitzer, the Govenor of New York, and his link to the Emperor's Club VIP prostitution ring. Whether his damaging behavior is related to a sense of entitlement, the dark side of his virtuous attitude, high testosterone or feeling he's above the law, seeing the pained look on Silda Spitzer's face and knowing that he has 3 teenage daughters makes you wonder. His is a classic and most dramatic example of the disruption of equilibrium that can occur in long-term relationships. Reading the examples below, do you recognize any of these changes in your own marriage? Look carefully at the emotions that surface when you step into new roles and give up the ones that have defined you in the past. If either of you has made bad choices, like deciding independently about joint finances or being unfaithful, the emotional damage can endanger the future of the relationship. When trust is broken, there is a buildup of frustration, anger, or disappointment, even despair as you make efforts to adapt to the new reality. Time itself can erode your marriage if quality time together has been put on hold while raising your family. Now, without the buffer of children, it may be apparent how much you've changed and how far apart you’ve grown. Could you instead begin to anticipate getting to know each other again and creating an improved future together? Are you experiencing angst about your relationship or actively searching for some deeper meaning in your life situation? As you redefine your self and partnership, it can lead to your gradually feeling more powerful. By becoming at ease with who you are, you will go from being afraid of your future to feeling excited about what’s ahead. What's the old saying - if you don't know where you are, you don't know where you're going? Being comfortable in your relationship feels awfully good - but functioning on automatic pilot can get you into trouble. For some couples in the Sandwich Generation, the impetus to examine their partnership comes from the different energies that each wants to invest in family, career or leisure. Don is torn between his own needs and those of his wife: "We're at different junctures right now.She worked part-time in nursing when our children were young. Over the years she has discovered a passion for business and recently started her own medical registry. The problem for me is, now that she's so immersed in her work, I want to cut back and spend more time together. I'm not sure how we can find a balance." Think about where your marriage weighs in on the scale of transitions. Over the next couple of days we'll be looking at the various mid-life changes that can destabilize or re-energize a relationship. "Community" has always been a concept that women embrace for caregiving, as Shelley Taylor discusses in her book, "The Tending Instinct." Through the ages, from prehistoric times until now, communities in which women "tend and befriend" each other have allowed them to survive and even thrive. Now the presence of community is contributing to the new movement of "aging in place," seniors remaining in their own homes rather than moving elsewhere. Studies indicate that over 90% of the elderly prefer this option and that it provides a better quality of life for them. This alternative is generally less expensive but depends on the input of a group of people to make it possible. Pilot projects in several cities have been set up to coordinate services for groups of the aging population - labeled naturally occurring retirement communities - so that they can remain in their homes. These programs are having positive results, offering independence and safety through the connection to community. New social interactions have led to greater efficiencies as neighbor helps neighbor in need. This growing trend attests to the power of women working together to accomplish more than they could alone. As a Sandwiched Boomer, how would you feel about your parents' participation in the "aging in place" phenomenon? Are there resources such as these in your areas? Would it reduce your stress to draw upon the community to assist with the care of your parents? First, Bill Clinton was dubbed the "comeback kid" - now it looks like Hillary has earned that title. Just days ago, it was predicted that she might pull out of the primaries unless she had dramatic victories over Obama in Ohio and Texas. Now, with her wins there, she is back in the race, full steam ahead. The Pennsylvania primary, set for April 22, will be the next big contest between them, with Wyoming and Mississippi scheduled for next week. John McCain had also referred to himself, earlier this primary season, as making a "comeback," though certainly he is not a kid. That title has become a reality now that he has cinched the nomination for President through the Republican Party. As Sandwiched Boomers, many of us probably feel that we too are hanging on for dear life, not sure how our struggles will turn out. What lessons can we take from these tenacious, if exhausted, candidates? When we feel like giving up, how do we have the strength to continue and prevail? Just like the candidates, we need to believe in ourselves and in the importance of our efforts - the decision not to throw in the towel depends on it. In order to make our own comeback, we must learn to take better care of ourselves. We have to rely on the support of those who believe in us and draw upon the resources available to us. We can make our Plan B's, knowing full well that our original plans, made with the best of intentions, may not come to be. As we move forward, meeting objectives on the path toward our goals, we too can score a victory in our campaign as Sandwiched Boomers caring for the changing needs of our families. We had such an interesting email from Dina that we wanted to share it with you. She was commenting on the the virtual book tour we hosted for Carol Tavris. In reaction to Carol's thoughts about resolving conflicts with your partner, Dina said, "Right you are that finding common ground, or a 'shared story', can be the beginning to resolution. Most reasonable people would agree with that. The problem is finding a strategy for how to reach commonality. That's where most couples, even the most well-intentioned ones, get stuck. They don't know how to say what matters most without being hurtful. Or, how to problem-solve in a way that respects both people. None of that is in the marriage instructions manual." Then Dina went on to say, "If it's okay, I'd like to share a bit of practical advice. First, decide what are wants and what are absolute needs. Often in conflict, we demand what we want because it's most convenient and desirable. It's human nature, and leads to arguments. (And, no, saying I need it doesn't automatically make something a need- sorry). Needs are essentials." "Here's a simple example: I want to go to the movies. You want to go to dinner, and we only have time for one activity. Focusing on our desires only gets us stuck-movies, dinner, movies, dinner. Things change if we shift the conversation. If we talk about our respective needs- to eat, to be entertained and spend time together- we can generate more options to meet those needs. Like, going to a drive-in movie instead. Have trouble identifying your needs from wants? Ask yourself: why and so what? Why is that important and what will be different if I get it?" Dina continued, "Second, make time to learn how to talk to each other. Loving negotiation is an essential part of marriage and a required skill for sandwiched boomers, male or female. Take a mediation course to boost your comfort and abilities to negotiate better. Even if a resolution isn't possible, your relationship will be enhanced by knowing how to say what's most important to you, listen compassionately and create realistic options." If you would like to hear more from Dina - who says she is "on a mission to re-invent midlife marriage" - check out her site, http://www.thismarriagething.com, and let us know what you think. How do you like being called a "good liar? " A new book portrays women as better liars than men - more clever and successful. How does this feel to you? Is it an accomplishment or a criticism? Does it seem to be true or a sexist stereotype? Is this just another hit on beleaguered Sandwich Generation Boomers? Women have several reasons for lying according to author Susan Shapiro Barash. Some lie to protect themselves - for example, to better their financial position or to cover up taboo behavior. A variation of this is the "competitive lie," through which a woman seeks to rank herself and her family on a higher level in terms of accomplishments. Others say they lie to benefit others - not telling their children about their own wild teenage behavior or not confessing to their husband that they had an affair. Women may even lie to themselves when it seems too painful to admit the truth. The author had an unusual manner of recruiting interviewees for her study - she placed adds on Craigslist. Perhaps because her respondents were drawn from a shopping site, she found that the subject women lied about the most was how much money they spent. She also found that more than half of her sample cheated on their husbands and lied about it. Many stay-at-home mothers told her they were not always honest about the satisfaction they experienced due to their choices. Does this all sound like some other manipulative woman - or have you been in a situation yourself that brought out a little white lie? Do you think it was justified? What was the effect of the lie? How would things have turned out differently had you told the truth? If you could go back and change your behavior, would you? How? Americans today are living longer and are developing or dying from more chronic conditions. A greater number of parents now need care at the end of their lives. Many continue to live at home with their children as unpaid caregivers or move in with family, instead of into nursing homes. Male caregivers are already living their own version of the numbers. Nearly half of them have symptoms of depression. Time is a main resource in short supply and that issue takes a heavy emotional toll. How can they take time for themselves when that is the resource they're already borrowing? We all have to put our heads together as the groundswell of Baby Boomers faces these dilemmas and discovers there's simply not enough to go around. Think about the male Sandwiched Boomers that you know who are struggling with these concerns. 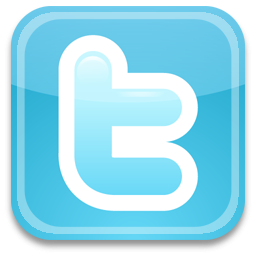 Share your ideas as well as the information in our past several blogs. Spread the word by starting a conversation.